NEW DELHI — India has reported its first three cases of the Zika virus, including two pregnant women who delivered healthy babies. Health Ministry officials said Sunday that the three patients in western Gujarat state had recovered. "There is no need to panic," Dr. Soumya Swaminathan, a top Health Ministry official, told reporters. The World Health Organization said in a statement Friday that the three cases that India reported to the WHO on May 15 were detected through routine blood surveillance in a hospital in Ahmadabad, Gujarat's capital. Two cases were detected in February and November last year, while a third case was detected in January this year. Swaminathan, who heads the Indian Council of Medical Research, said the three patients had not traveled overseas and had acquired the infection locally. Zika is transmitted by the daytime-active Aedes aegypti and Aedes albopictus mosquitoes. 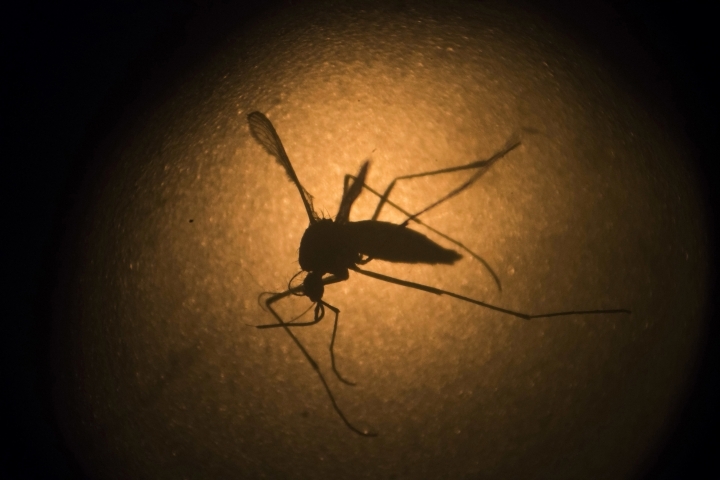 The medical journal Lancet has said 2.6 billion people living in parts of Asia and Africa could be at risk of Zika infection, based on analysis of travel, climate and mosquito patterns in those regions. The vast majority of people infected by the Zika virus never get sick, and symptoms are mild for those who do, so surveillance systems may have missed cases. Although Zika was first identified in 1947, the virus wasn't considered a major health threat until a major outbreak in Brazil in 2015 revealed that it can lead to severe birth defects when pregnant women are infected. The WHO says that although Zika causes only mild symptoms in most people, it sometimes causes complications including microcephaly and Guillain-Barre syndrome. Babies born to Zika-infected mothers have been found to have microcephaly, or a birth defect where the head is abnormally small and brains might not have developed properly. Guillain-Barre syndrome is a disorder in which the body's immune system attacks part of the peripheral nervous system. The WHO said the three were the first cases of Zika virus infections from India and provided evidence on the presence of the virus in the country. "These findings suggest low level transmission of Zika virus and new cases may occur in the future," it said. The WHO said there was significant risk of the further spread of the virus and recommended that governments push ahead with efforts to control mosquitoes. However, the agency did not recommend any curbs on travel to India. Last year, the WHO declared the spread of Zika a global public health emergency.